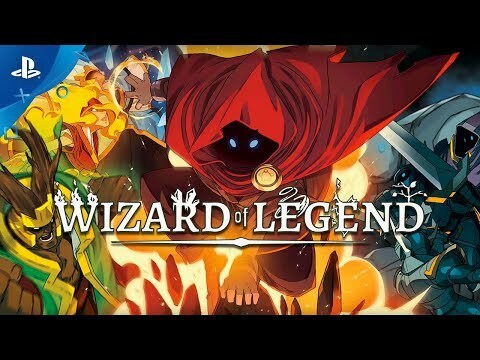 Wizard of Legend is a fast-paced, 1- or 2-player, 2D dungeon crawler where you assume the role of a powerful wizard on a quest for fame and glory! Wizard of Legend is a fast-paced dungeon crawler with an emphasis on dynamic magical combat. Quick movement and even quicker use of spells will allow you to chain spells together to unleash devastating combinations against your enemies! Unlock over 100 unique spells and discover powerful spell combinations and synergies! A wide variety of elemental spells allows you to create a hand best suited to your play style. Dive head first into the fray or stand back and let your minions do the work for you. The choice is yours! Every year in the Kingdom of Lanova, the Council of Magic holds the Chaos Trials, a gauntlet of magical challenges put forth by its strongest members. Contestants who successfully complete all of the challenges and demonstrate superior wizardry earn the right to become a Wizard of Legend! Use powerful spell combinations to destroy your enemies! Procedurally generated levels mean a new challenge every time! Endless customization with hundreds of spells, relics, and outfits to unlock!